It's so much fun being a Los Angeles Bar and Bat Mitzvah photographer, because there's always an element of play at every event. 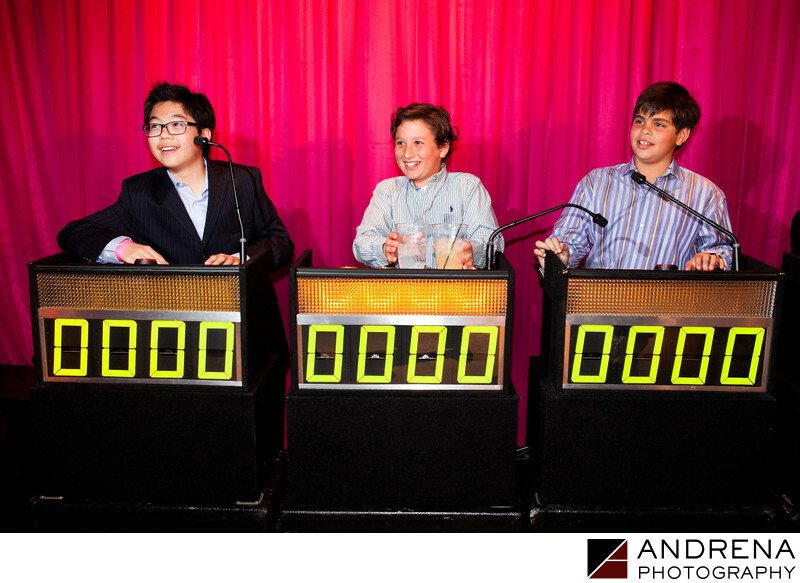 This city has a huge supply of creative vendors with fun offerings to entertain guests, like this game show set up from a party at the El Rey Theatre, where guests could buzz in their answers, just like on TV. The happy expressions on these kids' faces show absolute delight at the game being played, and they clearly had a great time with the selection of activities that the host family provided.